If you have any plans for any kind of camping and plan on staying at commercial parks and campgrounds, you owe it to yourself to invest in a membership in Passport America. This discount club offers half price camping at over 1900 campgrounds across the US, Canada and Mexico. The yearly fee is only $44.00. Membership comes with a complete directory and lots of extras. A welcome sign to see at your next campground! 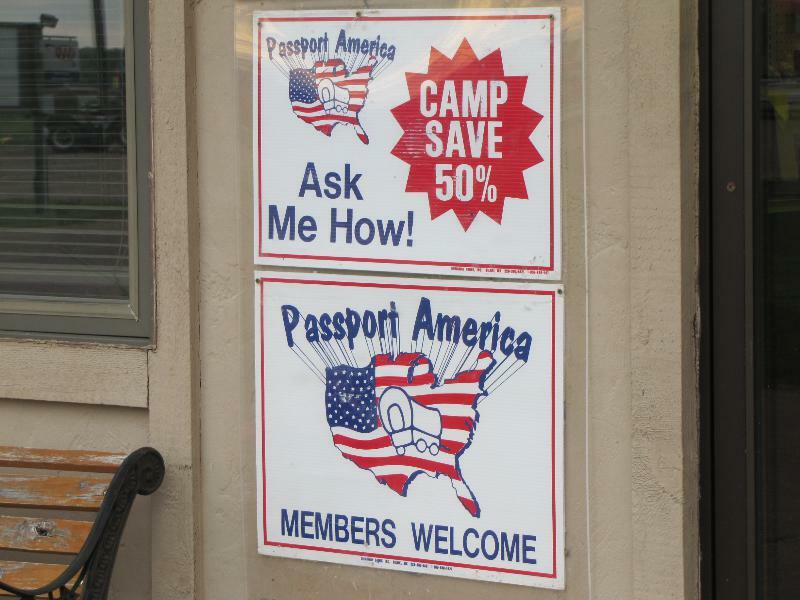 Yes, at Passport America member campgrounds you can get 50% off the regular nightly fee. There are some caveats. Many of the campgrounds offer the discount Sunday through Thursday nights only. Most do not honor the discount on holidays or during any “special events” in the area. Some campgrounds have a limited number of sites that are offered at the 50% rate. I strongly suggest that you call ahead, and be sure to mention you are a PA member.